This is a curved rectangular Wichita’s Best Flour porcelain sign. This particular Wichita’s Best Flour sign is blue with white text. 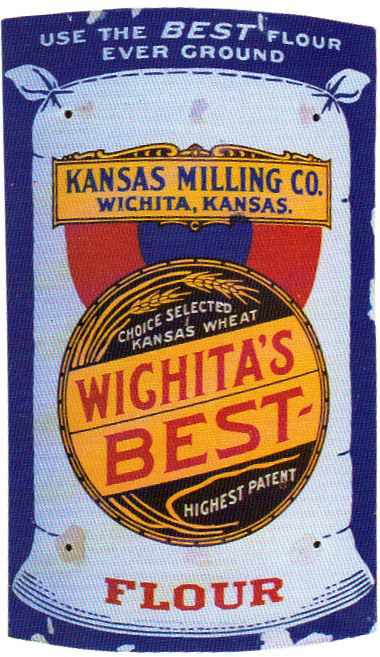 It reads, “Use The Best Flour Ever Ground, Kansas Milling Co., Wichita, Kansas, Choice Selected Kansas Wheat, Wichita’s Best Flour, Highest Patent” and features a white sack of Wichita’s Best Flour in the center of the sign.